Sometimes you do things on a whim. Fee told me that The light Shirl business suit looked like those suites you are wearing on Safaris, she joked that I should make a Safari hat. Joke or not, I did one (of course ^_^). 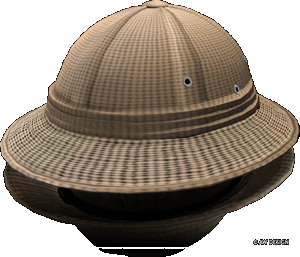 a neat sculpted safari hat, detailed textures and a easy to use resize script.